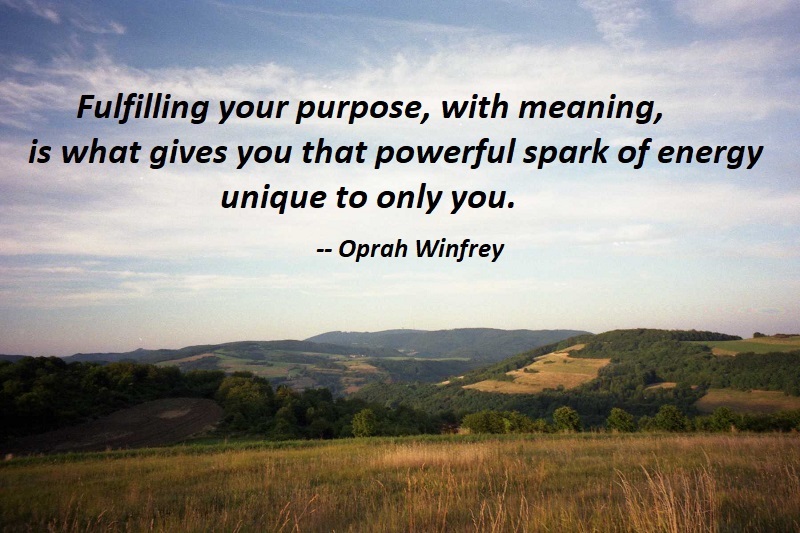 Fulfilling your purpose, with meaning, is what gives you that powerful spark of energy unique to only you. The result is an electrifying current of clarity rising from the deepest part of yourself. By tapping into that source, you will no longer feel like the salmon swimming upstream. Instead, people will finally see the highest, truest version of you and stand in awe, wondering how you achieved your dreams. 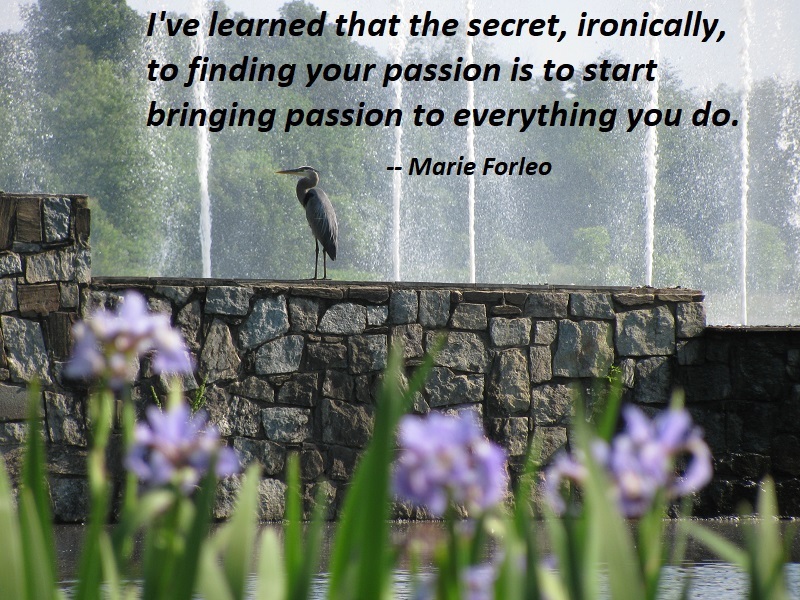 I’ve learned that the secret, ironically, to finding your passion is to start bringing passion to everything you do. And I do mean everything. So no matter what task is in front of you, bring as much enthusiasm and energy to it as you possibly can. Whether you’re making the bed, brushing your teeth, or cleaning the cat box, do it like you really want to do it. This one habit can change everything, because we humans are creatures of habit. You can’t be complainy and miserable ninety percent of your day and expect to feel passionate the other ten percent. — Marie Forleo, quoted in The Wisdom of Sundays, by Oprah Winfrey, p. 166. We can measure the quality of our lives by the relationships of mutual inspiration we’ve cultivated. These are the relationships that allow us to trust life. They are the very foundation of joy. Without such inspiration, any love will wither. And without these relationships, we too will wither, reverting to smaller, more defensive and wounded versions of ourselves. Humans are a lot like rubber bands: we shrink to a small, comfortable size unless we’re held to greater expansion by forces outside our ourselves. Relationships of inspiration expand us to a size we could never achieve alone. These relationships are not only the path to love; they are the path to our own greatness. Through them we can find a way past the fears and wounds that dwarf us. Popular psychology tells us that we can only love others if we love ourselves first. 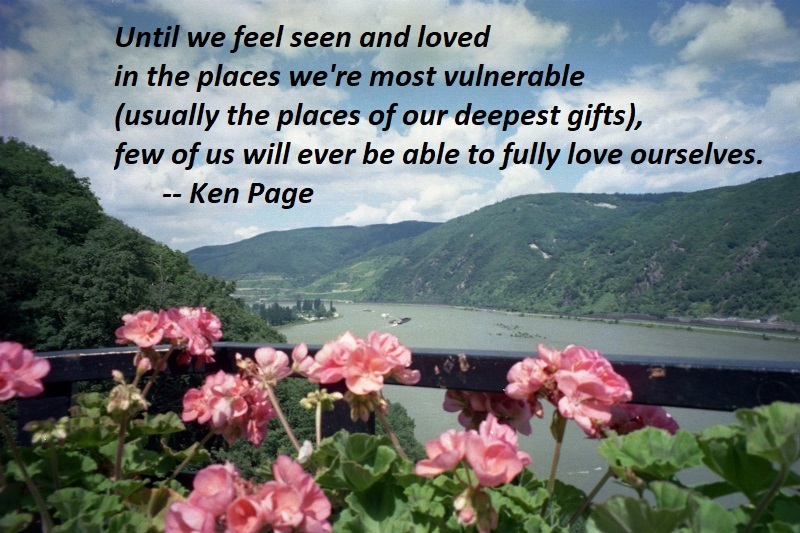 But the real truth is often the other way around: until we feel seen and loved in the places we’re most vulnerable (usually the places of our deepest gifts), few of us will ever be able to fully love ourselves. That’s the great boon of relationships of inspiration. We experience our loved one seeing into our very core — and valuing what he sees. In the wake of this experience comes a sense of bravery, an innate desire to share our gifts — not out of obligation but from a sense of joyful overflow. And that makes us into just the kind of person we are looking for — one who inspires others simply by being who she is. 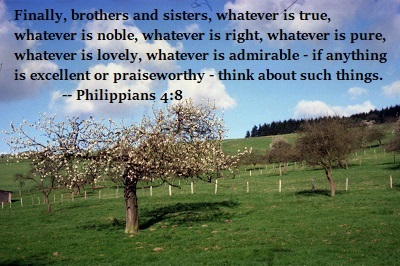 Read, reread, and meditate on the Scriptures as you would a love letter, not a research paper. Always search for Jesus wherever you are reading, not getting sidetracked with anything else. Make Jesus your primary lens as you read through the Scriptures. Remember, it’s the spirit of the law, not the letter of the law, that matters. Focusing on the letter of the law was the mistake the religious leaders who confronted Jesus made, and he was continually correcting them. They were so wrapped up in Bible memory and organizing the Scriptures into doctrinal systems that they missed Jesus in the process. Jesus can be seen throughout these Scriptures. Being for something creates positive feelings of interest, passion, or joy, which improve health and relationships. Being against something foments negative feelings of anger, contempt, envy, or disgust, which have deleterious effects on health and relationships. Recognize and accept the healing properties of chocolate. Twinkle lights are the perfect metaphor for joy. Joy is not a constant. It comes to us in moments — often ordinary moments. Sometimes we miss out on the bursts of joy because we’re too busy chasing down extraordinary moments. Other times we’re so afraid of the dark that we don’t dare let ourselves enjoy the light….